Angaston is a town on the eastern side of the Barossa Valley in South Australia, 77 km northeast of Adelaide. On the 7th (Thu), learn about winemaking at Rockford Winery and then trek along Barossa Goldfields Walking Trail. For reviews, other places to visit, more things to do, and tourist information, go to the Angaston trip itinerary builder . Sydney to Angaston is an approximately 5.5-hour flight. You can also drive. Expect a bit cooler evenings in Angaston when traveling from Sydney in March, with lows around 17°C. Finish up your sightseeing early on the 7th (Thu) so you can travel to Hahndorf. Hahndorf is a small town in the Adelaide Hills region of South Australia. Visiting Monarto Zoo and Horseshoe Bay will get you outdoors. You'll explore the less-touristy side of things at Gorge Wildlife Park and Encounter Bikeway. Get out of town with these interesting Hahndorf side-trips: Waitpinga Beach (in Waitpinga), Goolwa (Holy Evangelists Anglican Church & Goolwa Soldiers Memorial) and Urimbirra Wildlife Park (in Victor Harbor). There's more to do: see the interesting displays at Hahndorf Academy Regional Arts & Heritage. To find maps, where to stay, reviews, and more tourist information, refer to the Hahndorf travel route planner. Drive from Angaston to Hahndorf in 1.5 hours. In March in Hahndorf, expect temperatures between 30°C during the day and 18°C at night. Finish your sightseeing early on the 10th (Sun) so you can drive to Adelaide. Start off your visit on the 11th (Mon): explore the striking landscape of Flinders Chase National Park. 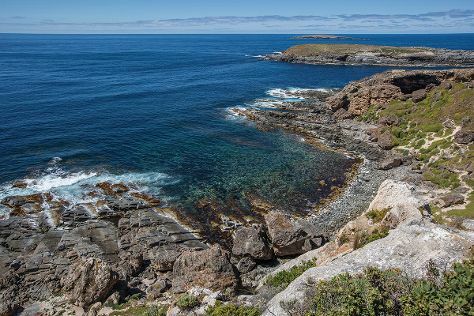 On the 12th (Tue), you'll have a packed day of sightseeing: explore the wealth of natural beauty at Kangaroo Island Wilderness Trail. To find photos, reviews, where to stay, and more tourist information, use the Kangaroo Island trip itinerary planning app . Traveling by combination of bus and flight from Hahndorf to Kangaroo Island takes 3 hours. Alternatively, you can do a combination of car and ferry; or do a combination of bus, ferry, and taxi. On the 13th (Wed), wrap the sightseeing up by early afternoon so you can travel to Adelaide. Step out of the city life by going to Stand-Up Paddleboarding and River Torrens Linear Park Trail. Eschew the tourist crowds and head to Skydiving and Henley Beach. Change things up with these side-trips from Adelaide: Shingleback (in McLaren Vale), Carrickalinga Beach (in Carrickalinga) and Semaphore Beach (in Semaphore). 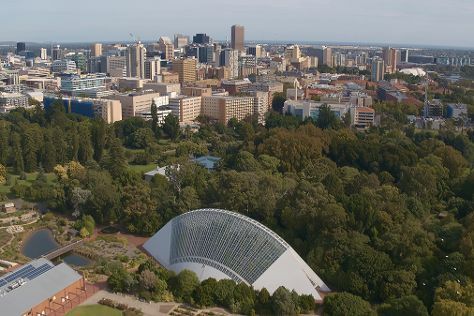 Next up on the itinerary: tour the pleasant surroundings at Aldinga Beach, wander the streets of North Terrace, kick back and relax at Glenelg Beach, and take in nature's colorful creations at Adelaide Botanic Garden. To find ratings, reviews, other places to visit, and tourist information, read Adelaide online driving holiday planner . Getting from Kangaroo Island to Adelaide by flight takes about 2.5 hours. Other options: do a combination of car and ferry; or do a combination of taxi, ferry, and bus. In March, plan for daily highs up to 30°C, and evening lows to 18°C. Finish your sightseeing early on the 17th (Sun) to allow enough time to travel back home.